The 4th entry in the high impact racing series called Burnout. This title was originally released on the Xbox 1 and PS2. 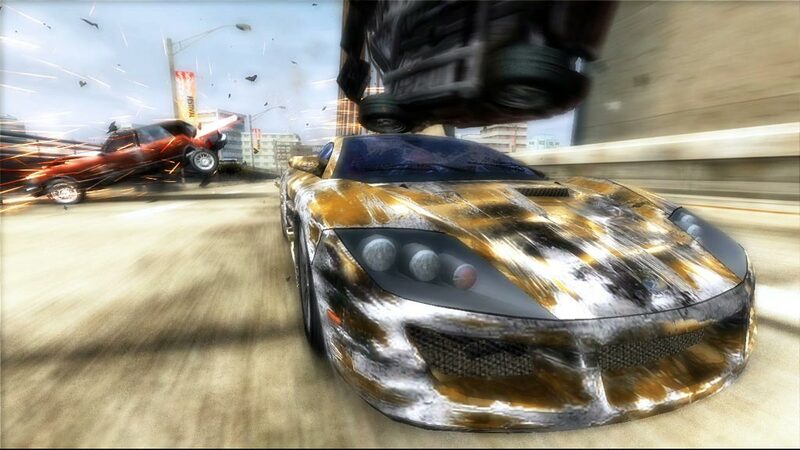 But the team at Criterion Games decided to give this game a HD makeover for the 360. I pretty much knew this game was coming for the 360 so I did not pick up the last generation version. I am finding this title a bit harder than Burnout 3: Takedown. The burning lap modes are really hard to get gold medals in. One crash and it is all over, even using full boost through the entire race. The crash modes are harder as well. Without the point doubling icons you have to just trial and error your way through them. The icons were a good visual indicator of what to aim for. The new traffic attack mode is interesting. It is the easiest mode in the game so far. This mode highlights a new feature in the game. You can now smash traffic out of your way as long as it is not a head on collision, and the vehicle is not bigger than your car. During races it is a handy trick to use the traffic as weapons against the other racers. Unique to the 360 version is the online modes. The game will track who your rivals are online. So if you get taken out in a race, the game will let you know the next time you race that individual that you need to "settle the score". The HD graphics are much improved over the Xbox 1. I would not call it a drastic eye popping improvement. The environments seem much grittier, and the sense of speed is a good as ever.